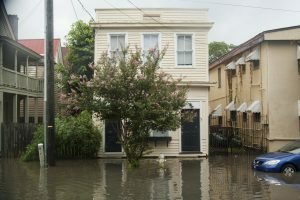 Higher Ground–Charleston’s climate justice organization–envisions a just, safe, and resilient Lowcountry that is a beacon of light in our state and beyond; a place where folks live in harmony with earth’s natural, life-sustaining systems and beings and prepare for climate disruption through friendships, compassionate dialogue, understanding, and skillful action. I Co-Chair Higher Ground’s Leadership Team of spiritual and thought leaders, scientists, non-profit professionals, filmmakers, students, artists, and policy-makers. Our program partners include area churches, temples, mosques, businesses, and community groups. The Empowerment Institute developed our model of social change (it was decades in the making). Higher Ground is telling the true story of climate change–its human-driven cause and its worsening impact upon coastal communities. But at Higher Ground, the story is not all grim. The “Stop. What Can I Do Now?” campaign piloted in 2018 is an energizing initiative to guide small groups working together through hopelessness to discovery, inspiration, and skillful action. Most people understand their daily decisions can either help or hurt the planet’s atmosphere. What’s more, nearly everyone believes it’s their responsibility to contribute to the well-being of this and future generations. But there is a disconnect between our awareness and our behavior. Is climate change really so bad? How can I be with this difficulty? What are the most important actions? Doe what I do make a difference? The “Stop. What Can I Do Now?” campaign answers these questions with well-tested science, a proven method of social change, and justifiable hope. First, tools from the field of Spiritual Ecology 1) wake us–without causing overwhelm–to humanity’s new climate reality, and 2) deepen our collective understanding of the root causes and conditions of global warming. In small study groups, we will explore the moral imperative of earth care. Second, the campaign’s four-session training program will offer small groups a menu of every day actions to choose from, options that save money and reduce greenhouse gas emissions to cool the world. 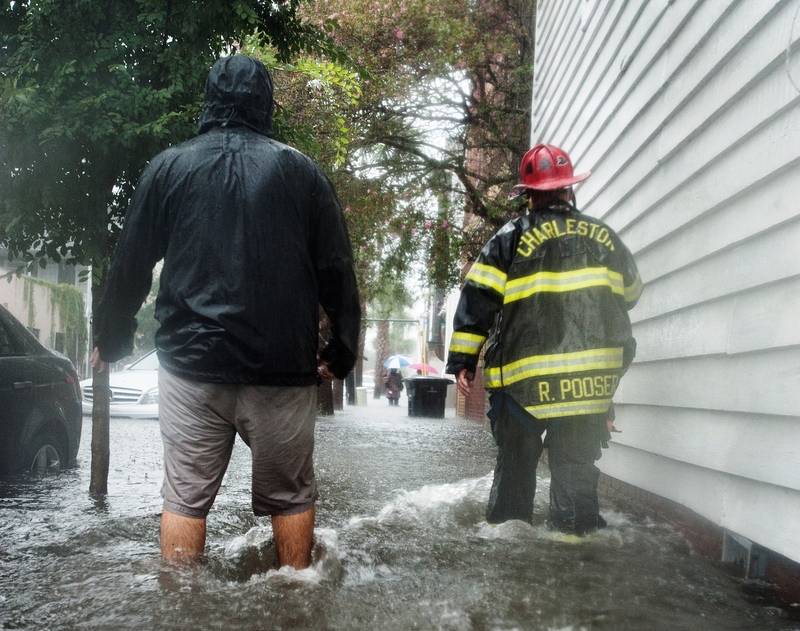 Climate change impacts affect coastal residents in different ways. For example, locals with historically low-consumptive lifestyles (those who contribute little to to the climate problem) experience some of the worse climate impacts. In Charleston, these low-carbon communities flood regularly at high tide due to existing sea-level rise. That’s not fair. Remedying this inequity and keeping people safe is the aim of our climate justice work. The “Stop. What Can I Do Now?” campaign will measure differences in household carbon emissions between various Charleston neighborhoods. We will help local residents articulate their case for climate justice. Also, Higher Ground will offer in low-carbon neighborhoods a four-session training program: Climate Resilience and Disaster Preparedness. Participants will examine climate’s escalating danger and develop personal disaster mitigation plans to keep themselves and others safe. Contact me below with your “Stop. What Can I Do Now?” campaign questions.